I’ve been living in the state of Arizona for over a year now (more on that in an upcoming post), and in that time I’ve learned there’s really no topping the Grand Canyon—it’s the Grandest Canyon, in fact. That being said, before I moved to Arizona I visited what you could call the “Grand Canyon of Galicia”—a canyon carved by the Sil River as it passes through northwest Spain. 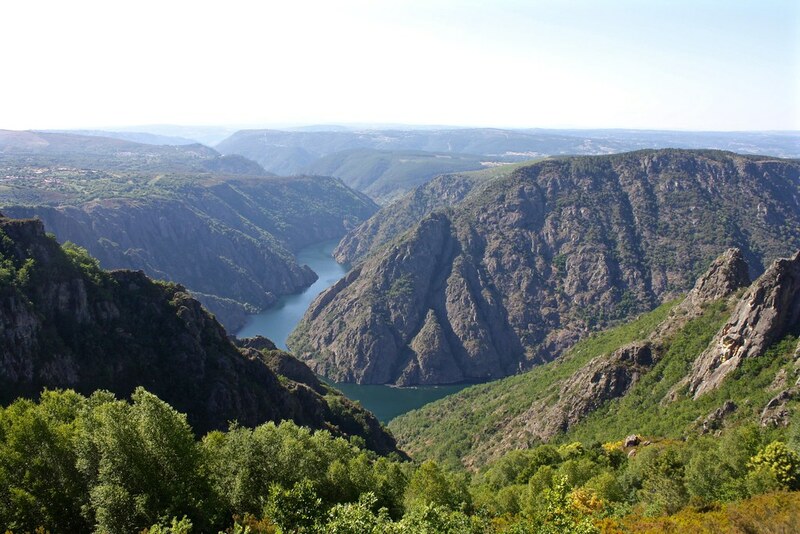 But whereas Arizona’s canyon takes the cake for majestic views and hiking opportunities, the Sil River Canyon stands out because it forms the backbone of a cultural landscape called the Ribeira Sacra, the “Sacred Riverbank” of Galicia. 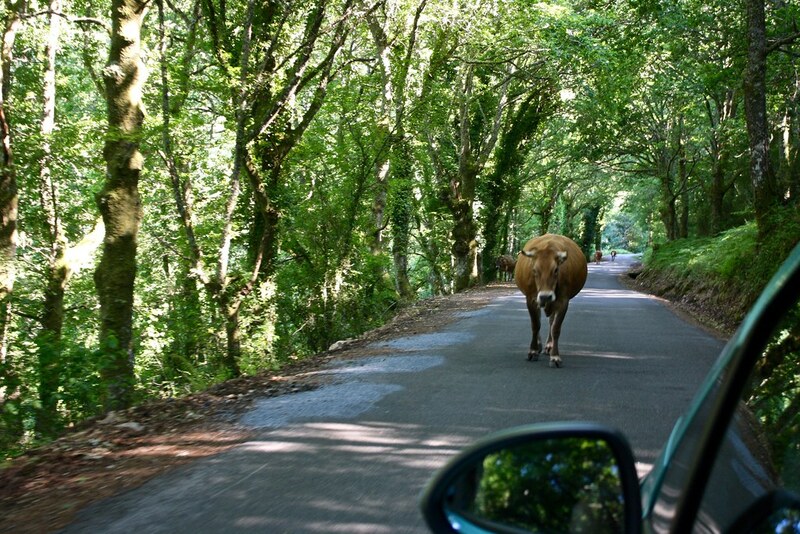 This region takes its name from the plethora of monasteries that were founded here in the Dark Ages in this most isolated part of the Iberian Peninsula. The steep, rugged terrain on either side of the Sil River served as a perfect setting for hermits fleeing the chaos and pleasures of the world, although the eremetic monasteries quickly became cenobitic or community-oriented centers as the word got out. Ultimately 18 monasteries flourished here along the Sil River, leaving us with stunning examples of Romanesque architecture. These monks also left us with another important heritage: wine. 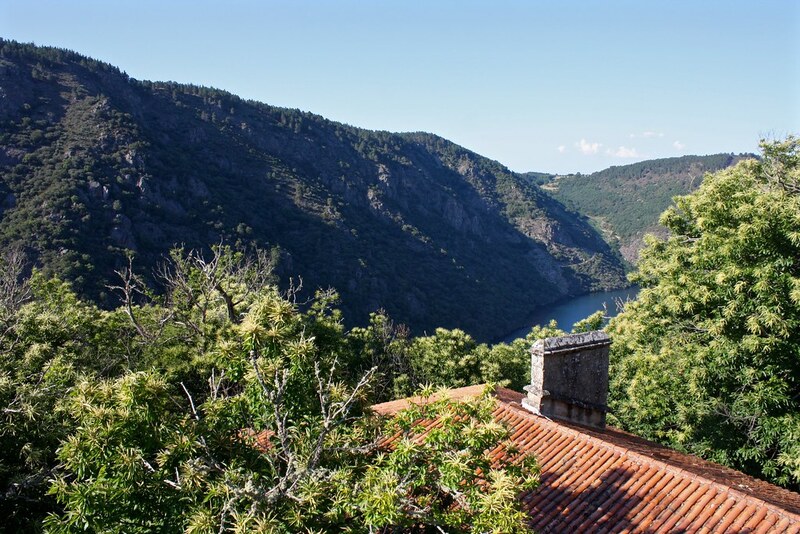 Still produced today using traditional methods—vineyards are planted on terraces along either side of the canyon—Ribeira Sacra wine is today one of Galicia’s five denominaciones de origen or protected regional varieties. Grapes commonly used include red Mencía and white Godello. The most impressive monastery you can easily visit in this area also happens to be a hotel you can stay the night in. 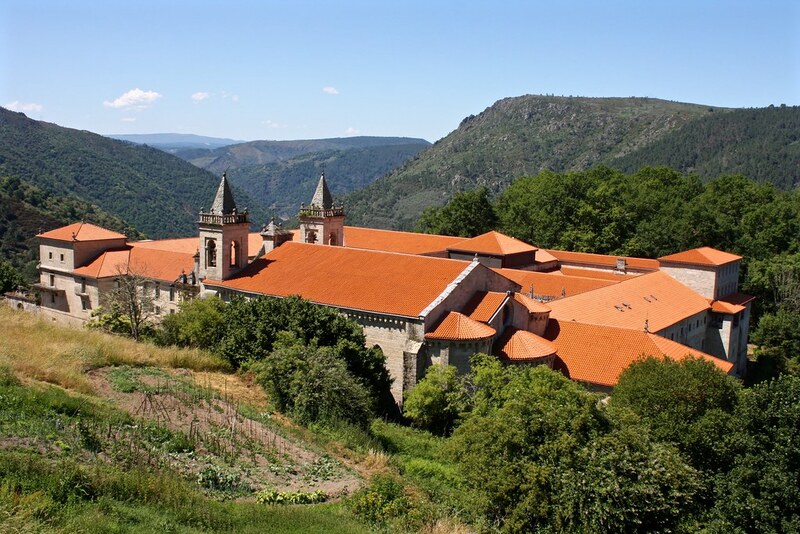 This parador or fancy state-run hotel lets you sleep in luxury and avoid 2am wake-up calls for morning prayer, but it’s also a great place to try a slice of bica, or a pound cake with a sugary crust that’s commonly made in Ourense province. 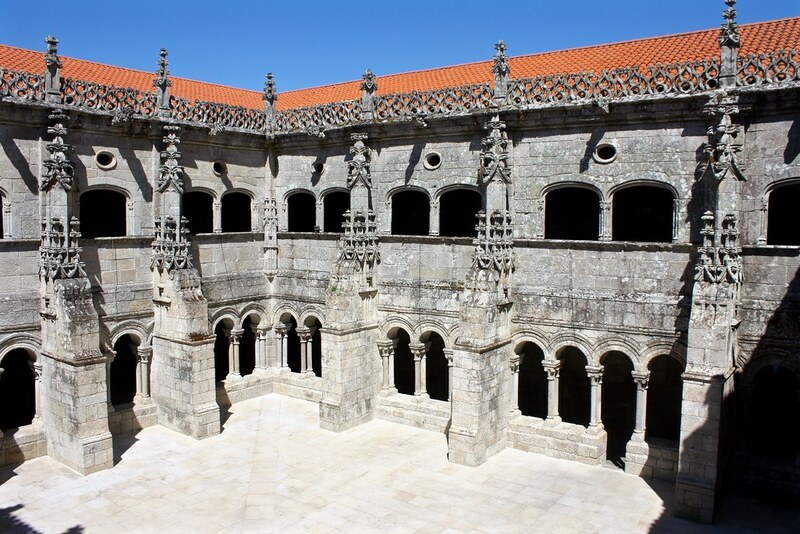 The Mosteiro de Santo Estevo de Ribas de Sil or Monastery of St. Stephen-upon-Sil is an architecture nerd’s dream: no fewer than three cloisters show off Romanesque, Gothic, and Renaissance styles, all the while providing a cool, meditative escape from the world. 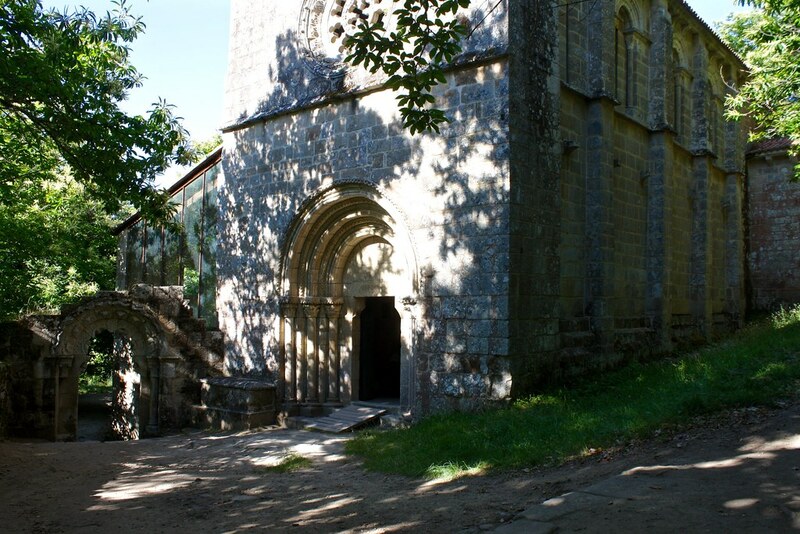 My favorite part about daytripping from Santiago de Compostela down here was the opportunity to visit the secluded Mosteiro de Santa Cristina de Ribas de Sil, or Monastery of St. Christina-upon-Sil. Reached by a narrow country road that takes you down the canyon walls via multiple switchbacks, this place felt truly isolated from the rest of the world—and it was easy to see how this location would have been so attractive to hermits and monks centuries ago. Even today, groves of chestnut trees drape the church and crumbling grounds in shade, hiding it from sight. 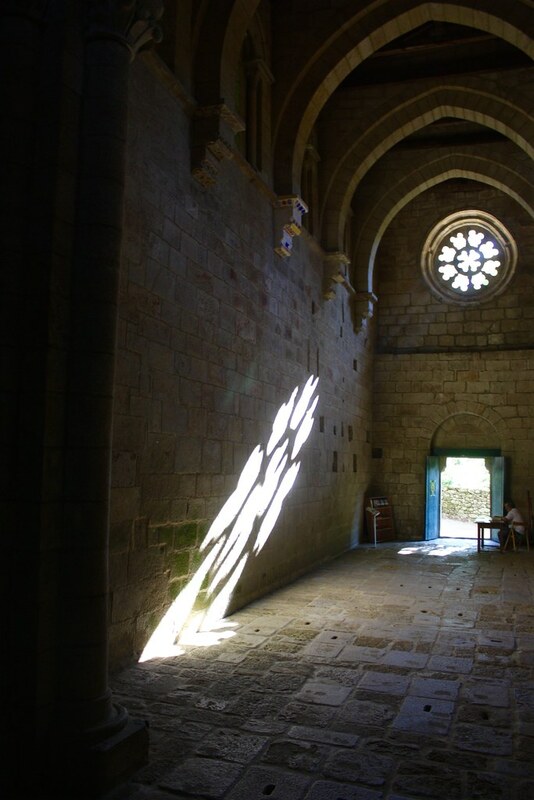 But the trees are short enough that the sun can peek in through the fabulous rosette window in the Romanesque-style abbey church, which creates an enchanting light play on the walls that were hewn from the same granite as the canyon. 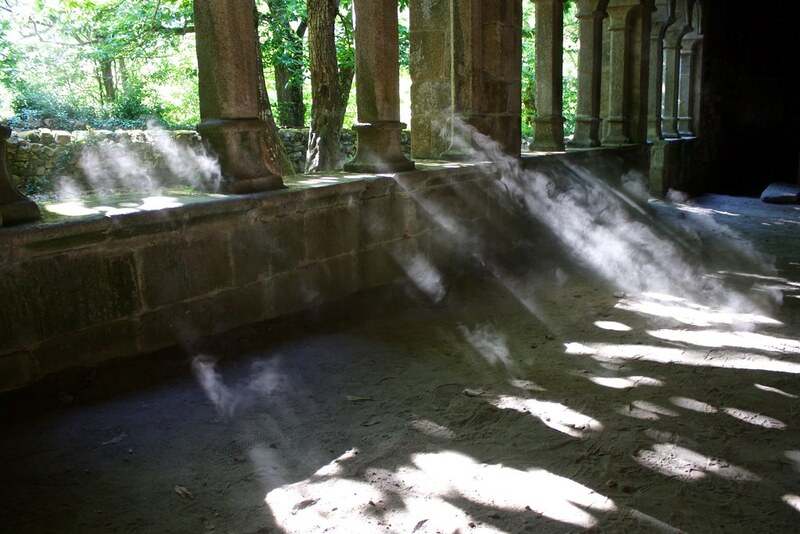 Sunlight also filters through the forest canopy into the atmospheric cloisters, where you can quietly enjoy this abode of solitude. Romanesque architecture and pound cake is nice and all, but let’s be real—we’re all here for that photo that will rack up them Instagram likes. 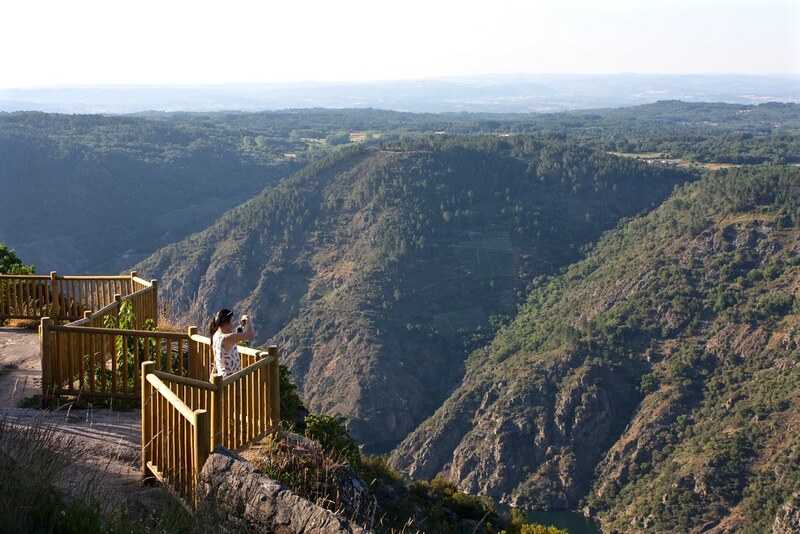 To get that perfect shot, the place to be is the town of Parada de Sil, situated inside the biggest bend of the Sil River Canyon. The spot where I took the photo at the top of this post is called As Xariñas de Castro. 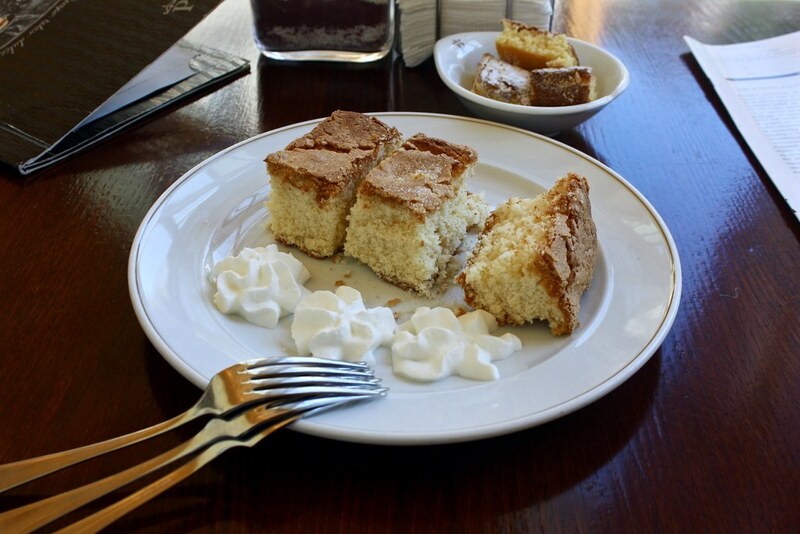 It’s conveniently located along the same road you take to get down to the Santa Cristina monastery. The other lookout point (mirador in Spanish, miradoiro in Galician) is the Balcóns de Madrid, a great location because it takes you right up to the edge of the cliffs and gives you a great vantage point from which to look down to the river and see catamarans cruising away or the other side of the canyon, beyond which you can just barely make out the town of Monforte de Lemos. What other “grand canyons” have you been to outside of Arizona? Does the cultural and natural setting of a wine region attract you as much as the quality of the wine itself? Let’s start the conversation below in the comments section!